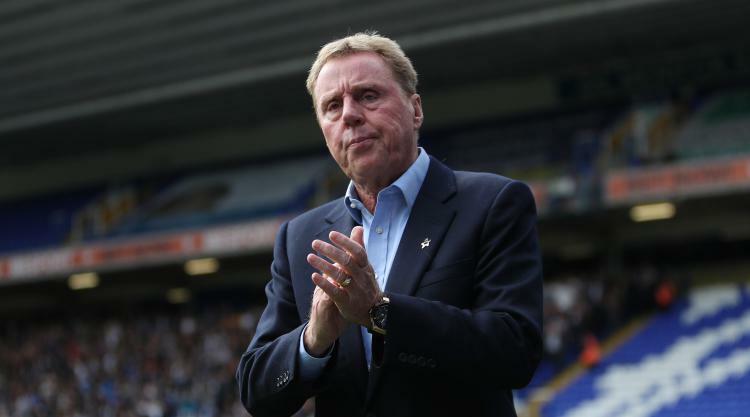 Harry Redknapp has been sacked as Birmingham manager after just 13 games in charge. The 70-year-old former Tottenham boss was brought in on a rescue mission at the end of last season and kept Blues in the Championship. But the club have lost seven of their 10 games in all competitions this term, including their last six, following a 3-1 home defeat to Preston on Saturday. A statement from City read: "Unfortunately due to the poor start to the campaign which sees the club second from bottom of the Championship, we are left with no choice but to terminate the contract of the manager with immediate effect. "We thank him for all his efforts and wish him good luck for the future. Lee Carsley, Blues' head professional development coach, will step in as caretaker manager. "There will be no further comment at this time." Assistant manager Kevin Bond has also left the club but coaches Paul Groves and Kevin Hitchcock have stayed. Redknapp - who signed 14 players this summer - took over after Gianfranco Zola's disastrous reign last season and kept them up. He banked Â£250,000 for the final three games and signed a contract worth Â£1.75million to take charge for this term. It is unclear what the former West Ham and Portsmouth manager will get in compensation. The club handed Redknapp around Â£20million for the players he wanted before the transfer window closed just over two weeks ago. He broke the club's transfer record to buy forward Jota from Brentford for Â£6.5million while the club gave the 26-year-old a four-year deal worth Â£40,000-a-week. Middlesbrough were interested but only prepared to offer half the wages while Blues paid Â£3.5million to Barnsley for defender Marc Roberts, well outbidding rivals who were offering significantly less. Birmingham also tried to sign John Terry but lost out to rivals Aston Villa despite offering higher wages. Agent Darren Dein was heavily involved in the club's recruitment but it is unclear what his role will be at St Andrew's going forward, along with that of director of football Jeff Vetere. Speaking after the Preston game, which saw Daniel Johnson, Jordan Hugill and Tom Barkhuizen reply to Maxime Colin's opener, Redknapp insisted he was still up for the fight. "We have got to lift ourselves. There is a team waiting to gel but we have suffered several injuries to key players," he said. "I do not come to work because I need the money, I enjoy the job and leaving home at 5.15 every morning. I would love to be the manager to bring some success to Birmingham." That is a task that will now fall to someone else. "I made the players aware at half-time that I expected more from them in the second half," Preston boss Alex Neil said. "I got the response I wanted and I could not have asked any more. We had bits of quality to finish off moves we had at the time."